Have you decided to keep your natural grey color, you aren’t regulated to the permed look. 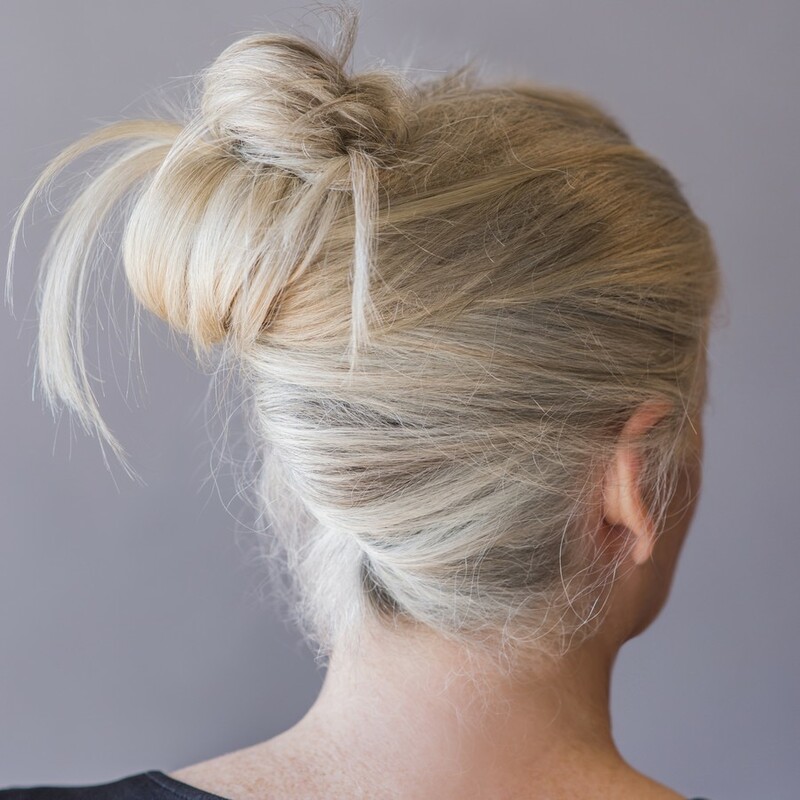 This updo is perfect for the cool and casual elegance of the southwest lifestyle. But sometimes aging hair is thinning hair, protect your long locks by starting with the Bumble and bumble Full Potential line; shampoo, conditioner and booster spray. For styling, the Bumble and bumble Styling Creme, and Bb Gel, and to finish it off, the Bb Classic Hairspray. Age is just a number to you.